Finding a professional, affordable kitchen fitter you can depend on requires an investment of faith. Without past experience, or having former customer reviews to call upon, you may well find yourself simply selecting a tradesman based on cost alone. When looking for a kitchen fitter in Maidstone, choosing AC Installations means calling upon the services of a team of experts that offer nothing but the utmost in quality. With more than 20 years’ experience as a leading kitchen fitter in Maidstone, we have the expertise and professionalism needed to provide you with complete peace of mind. In fact, our reputation for providing quality kitchen fitting services among past clients is exceptional, and can be discovered in greater detail on leading trade websites, Check a Trade and My Builder. 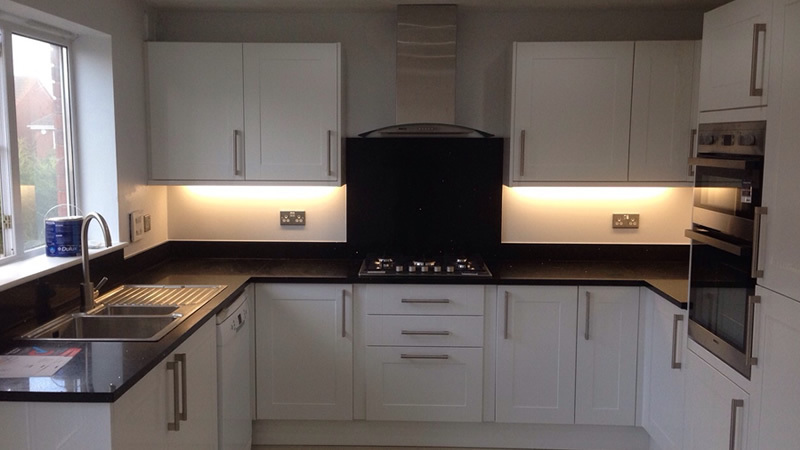 Regardless of the shape and size of the kitchen you plan on installing in your home, and whether you require a full renovation or a simply refurbishment, we at AC Installations will work alongside you to source the perfect materials and conduct a complete and thorough installation, on time and on budget. To find out more about why our reputation as one of the best kitchen fitters in Maidstone is so well-deserved, and how we can help transform your kitchen into the modern, practical environment your home deserves, contact us today on 07718 622940. We’ll be happy to discuss your needs in full and provide you with a competitive quotation.